We are currently approved to certify in 14 countries with applications pending in many more. 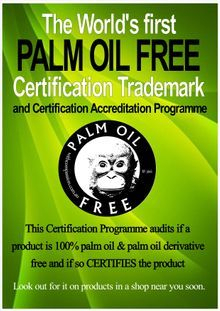 Each product or company which displays the International Palm Oil Free Certification Trademark has undergone very thorough research via POFCAP’s Accreditation Programme and has been Certified Palm Oil Free (CPOF). The International Palm Oil Free Certification Accreditation Programme’s (POFCAP's) Certification process has evolved over many years of research and data collection. We learnt many years ago that you can’t 'back engineer' a product – which means you can’t simply submit a product for testing in a lab to find out if it contains palm oil or palm oil derivatives. 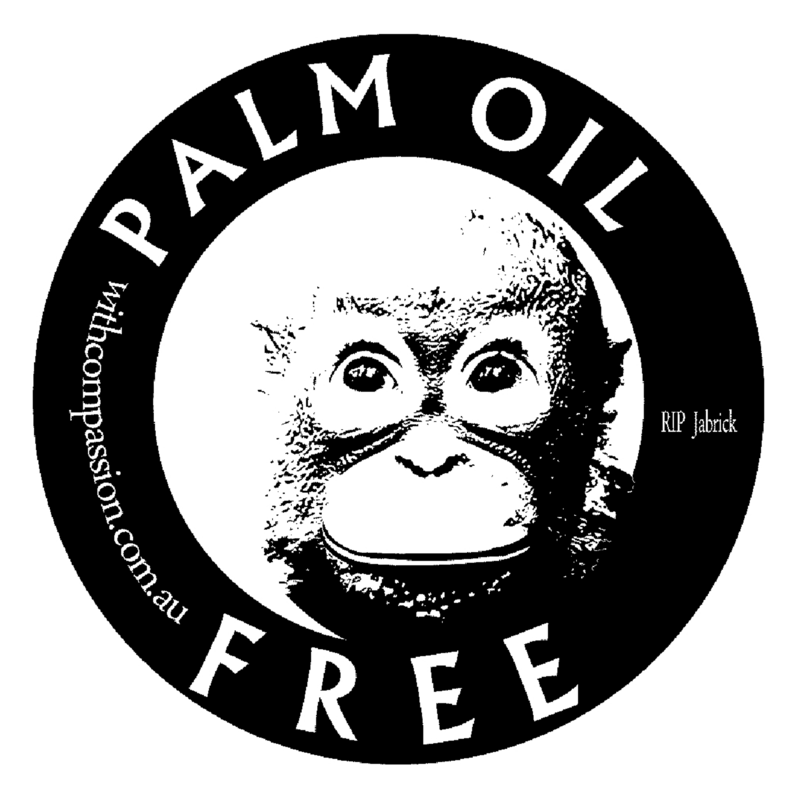 Testing is not specific enough to detect the 1,000's of ingredients made from palm oil (palm oil derivatives). 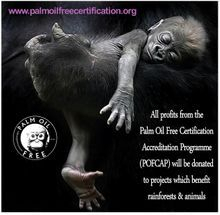 For these reasons POFCAP has developed its own extensive & thorough research methods so consumers can be sure that a POFCAP certified product, company or process has had every ingredient and its derivatives thoroughly checked to be Palm Oil Free. If any doubt exists, the product or company is not certified. This Certification is product based NOT brand based. 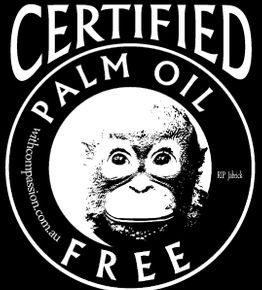 This means companies who sell products which contain palm oil AND sell products which do not contain palm oil can apply for Certification for the palm oil free products in their range. 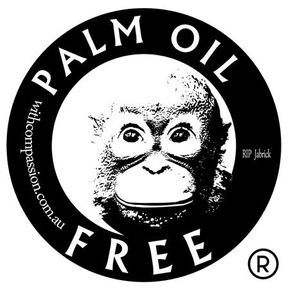 Should the company’s entire range be Certified Palm Oil Free (CPOF) the company has permission to use the International Palm Oil Free Certification Trademark to market their entire range. Once a product, company or process has been Certified Palm Oil Free(CPOF) the company may apply for a Triennial License to use the International Palm Oil Free Certification Trademark for those Certified products, company or processes . 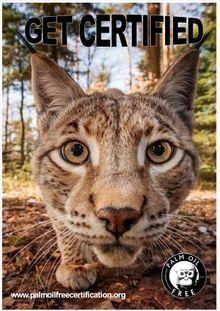 Within that 3 year period additional products (either new or newly formulated with Palm Oil Free ingredients) can be submitted anytime during the 3yr period for additional Certification. Companies are required to notify the POFCAP Team when the ingredients in any Certified product, company or process changes and will be required to submit new ingredient lists for review. The International Palm Oil Free Certification Accreditation Programme (POFCAP) assesses and CERTIFIES product, company or process not RECOMMENDS them. POFCAP publishes all certified products, companys or processes on their website & across social media to make consumers aware which product, company or process s have been Certified. POFCAP does not permit companies to use language which implies that POFCAP recommends a specific product, company or process . Acceptable wording is as follows, “Certified Palm Oil Free by POFCAP” or "Certified Palm Oil Free (CPOF) . 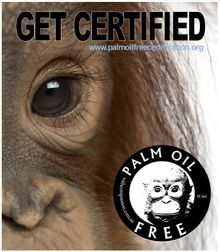 This certification programme certifies if a product, company or process is 100% palm oil and palm oil derivative free. To be more specific this means any part of Elaeis guineensis the African oil palm or Elaeis oleifera the American oil palm including but not limited to the pulp/flesh, fruit, kernel, oil, leaf, husk, flowers, stalk, fibre, shell, empty bunch trunk, bark, petiole, rachis, sludge & palm kernal cake.